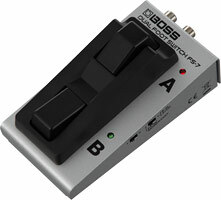 Grab your guitar or bass and microphone, plug into the new eBand from BOSS, and amaze your friends, family, and fans! The eBand JS-10 is self contained and small, but fills the room with full-range sound from its 2.1 sound system and pro BOSS effects. Jam with a large selection of onboard song tracks and audio loops, and add your own library of favorite songs to play along with via USB or SD media. You can easily change the tempo and key signature of the songs with high-quality results, and record your performances, too. eBand is the compact, all-in-one jam station packed with pro features and larger-than-life sound. The eBand JS-10 is compact and travel friendly, but its performance is huge. An innovative onboard 2.1 speaker system provides rich, full-frequency sound for song playback and the built-in effects and COSMamps, with deep bass that can shake the room. Get creative with the awesome BOSS effects and COSM amps built into the eBand JS-10 — equivalent in quality to the flagship GT-100 — plus cool extras such as direct recording and Center Cancel for “minus-one” play-along sessions. Two independent input channels are provided, each with its own effect and COSM amp paths. You can plug in any dual combination of guitar, bass, and/or microphone, ideal for duet jam sessions as well as teacher/student music lessons (see below). The eBand JS-10 is packed with cool new play-along tracks, including over 350 audio loops for jamming and 50 new songs. The selection is wider with new variations of instrument combinations, including “minus-one” audio for bass, two guitars, and guitar and bass. 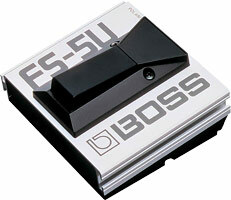 Your favorite MP3s and WAV files can be played back directly from a USB key, or imported into the JS-10 from a computer via USB. 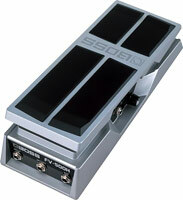 In addition, you can record your live performance with effects along with the songs into the JS-10. With the eBand JS-10, you can jam along with your favorite songs, and freely change the tempo and key with high-quality results. You can also loop and repeat sections of a song, and slow down the fast parts to analyze, learn, and play along. eBand’s dual input channels are also an excellent learning tool. For example, a guitar teacher and student can connect their instruments to one eBand; the teacher demonstrates or quickly records a riff or solo using a built-in backing track, and then the student repeats the performance for the teacher using the same track. It’s a convenient, effective, and fun method for learning! 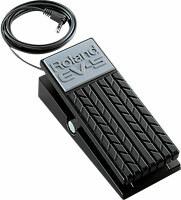 Adaptive Focus is a unique Roland/BOSS technology that allows the signal noise (S/N) ratios of AD converter to be vastly improved.